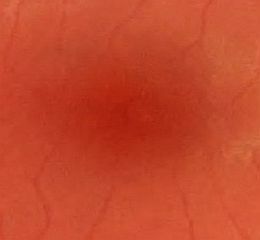 The pigment molecules present in the macula are thought to be of great protective value in alleviating oxidative stress which afflicts this area. These molecules are known as carotenoids. They are Zeaxanthin, also known as xanthophyll pigment, Meso Zeaxanthin and Lutein. The interesting finding is that they are not synthesized by the body and as such come entirely from the diet. You will find them in green leafy vegetables, goji berries, yellow peppers, wolf beries. They are responsible for recovery from photostress. They absorb excess energy in the blue spectrum , allow its dissipation, hence reducing the risk of oxidative damage to the surrounding tissue. Their presence has been shown to improve shape discrimination, scotoma or blind spot resolution, low contrast resolution, and colour vision perception. They have also been shown to be beneficial in normalizing vascular endothelial growth factor. This factor is instrumental in controlling the growth of blood vessels. What dietary doses are beneficial? The exact dosage parameters have not been established at this stage, 6mg/day of lutein is implicated in reducing the risk of ARM, 12mg/day of zeaxanthin increases density of macular` pigment , how well this correlates with visual function is still being uncovered.